Go on a trip to the beach and bring home pretty little seashells? Make shell jewelry such as necklaces to remember a memorable vacation. With a few decorative beads in shades of ocean blue and green, create attractive and wearable jewelry to complement a casual outfit that will get attention. This is an excellent project for both adults and children to make for themselves or to give as gifts. Soak and clean seashells in a small bucket with a water and bleach solution. Lay on a paper towel and rub off any dirt or residue if necessary. Let dry on paper towel. Use clear nail polish to generously coat the seashell to strengthen it and give it a shiny finish. Let dry. 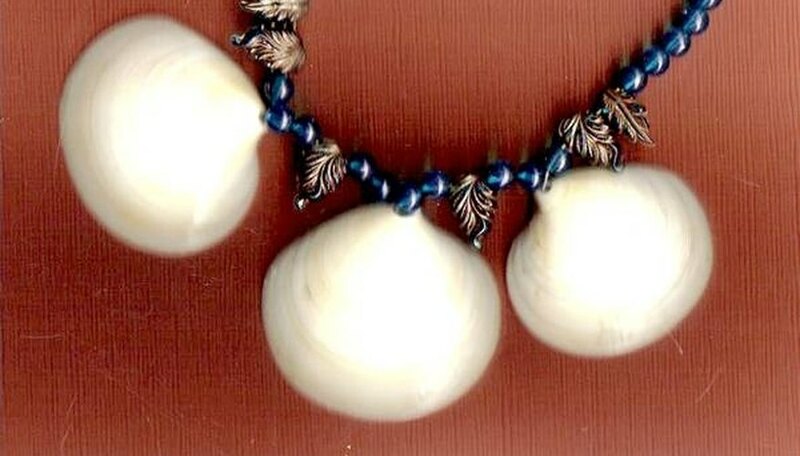 Arrange sea shells and assorted plain and decorative beads as desired to design the necklace. Add beads to make a 20-inch necklace when completed, leaving 2 inches of jewelry wire unstrung on each end. String the beads and seashells onto the jewelry wire starting at one end. When stringing the seashells (depending on their shape), it may be necessary to slip the jewelry wire through the little hole at the top of the seashell from the front to the back, slip on a tiny bead, then slip the wire back to the front through the same hole. This will keep the seashell flat when worn (as with a clam shell). Pull the wire snugly to keep the beads together as they are strung. Hold one end with jewelry pliers, then slip the wire through a loop in one part of the toggle clasp. Pull it through and tie two knots with the necklace wire. Secure with a wire crimper. Cut off any excess wire with a jewelry wire cutter. Do the same on the other end of the necklace. Mix and match beads to make an interesting design. Add a few ocean and beach themed charms among the beads. If children are participating in this project, an adult should handle the wire cutters and crimper and assist the children with the above steps.